You probably spent thousands of pounds on that beautiful Persian rug in your living room. But a few years of wear and many wine spills later, it isn’t looking as fresh as it used to. Taking the right care to clean your precious oriental carpet is what will keep it looking as good as new for decades to come. 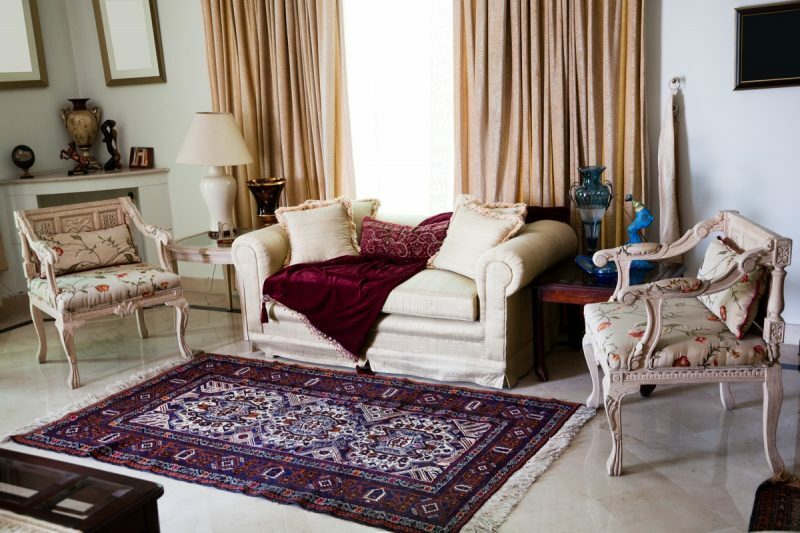 While the carpet may well become a family heirloom, it is still a carpet. And carpets will get their fair share of spills and stains. Taking quick action to minimize damage is critical. Blot up any liquid that may have pooled on the surface. Depending on what kind of stain it is, you may need to use some special detergent or the regular stuff to do a spot-clean. Rinse and blot dry when done. Vacuum your carpet to get rid of surface dust. Alternatively, take it outside or to your balcony and dust it off nicely using a rolled up newspaper. Remember, an oriental carpet can’t be treated as you would a simple cotton rug. You need to take extra care to ensure it is cleaned the right way. The best thing to do is to hire the services of a professional with experience with these kinds of carpets. While DIY can work for smaller or spot cleanups, it is safer to get someone with the right equipment to deep clean it for you. Using the wrong cleaning liquids or being unable to properly dry it out after a home steam clean can cause permanent damage to your treasured possession. Washing it incorrectly can even cause the rich colors of the carpet to fade, making it look worn. If you have not had your rug cleaned recently, or if you recently moved house, or even if it has been exposed to a lot of damage of late, it may be time to schedule a thorough cleaning. Steam cleaning helps gets rid of grime that has settled deep inside the carpet. It also helps lighten some long-standing marks from regular use. The discerning homeowner might even opt for scheduled cleaning twice a year. Schedule a visit from the carpet cleaning service. With the convenience of carpet cleaning at home, you will be able to offload the job to someone who knows what they’re doing. Professional steam cleaning will have your carpet cleaned and smelling fresh while you go about your work. It will also leave the carpet ready-to-use almost immediately. Best of all, if the material used is eco-friendly, it is safe to have the job done even if you have little kids, the elderly or pets at home. After a good cleaning, even an old carpet will look brand new. You’ll see the patterns better and the colors will be deeper and richer. Making the decision to clean your rug will give your carpet a new lease of life. And it is well worth that care, wouldn’t you say?